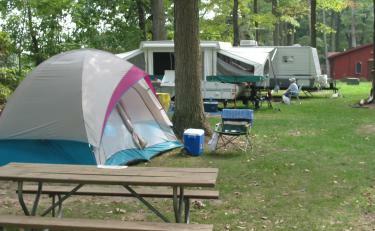 20 grassy, tent/rv sites with water and electric on every site, along with a campfire pit and picnic table. Modern bathhouse and shower rooms, coin operated laundry room, fish house (for cleaning your catch-of-the-day) and a Snack Shack were we sell pre-packaged candy and ice cream. Daisy Park Campground will open in May for the 2018 summer season; however campground reservations open in January 2018. $30 per site which includes one household or up to four unrelated people. $38 per site which includes one household or up to four unrelated people. $10 Early Arrival Fee - arrive any time after 11 a.m the day of your arrival and only available if site is not occupied by another guest. Please contact the office to confirm site availability. $10 Late Departure Fee - departing by 6 p.m. the day of scheduled departure and only available if site does not have another guest scheduled for arrival that same day. Please contact the office or campground hosts to confirm site availability. A $125 fine will be issued to any person(s) responsible for the flipping of the swim rafts. Blobbing - This activity must be staffed by trained SON-Life Camp staff and therefore MUST be scheduled 3 weeks in advance, requires 12 person minimum and is $5/per person to participate. The group campfire area and pavilion can be reserved free of charge for church/family group use. Please call the office to coordinate times and make reservation. Use of the playing fields, gaga, or any activities located in the Retreat Center area must be coordinated with the office or Campground Hosts (on site 1). A full set of guidelines will be sent to you with your registration confirmation or you will find them in the welcome packet at your camp site. Here are a few that address common questions. Quiet Hours: 11:00 p.m. - 7:30 a.m.
Pets: Please keep all family-friendly pets on a leash less than 6' long at all times and clean up after them. Prohibited Substances: Alcoholic beverages and illegal drugs are prohibited on camp property. No smoking is allowed in any building. No guns or target shooting is permitted. Boats: Our boats are available for free on a first-come-first-served basis. You may carry in your own boat. ONLY electric trolling motors are allowed. All boaters must wear a life jacket. Church Groups: Reservations may be made up to one year in advance. Cancellations with more than 90 days notice will receive a full refund minus a $10 administration fee. No refunds can be given with less than 90 days notice. Families: Reservations may be made six months in advance. Cancellations with 10 days or more notice will be given a full refund minus a $10 administration fee. No refund can be given with less than 10 days notice. 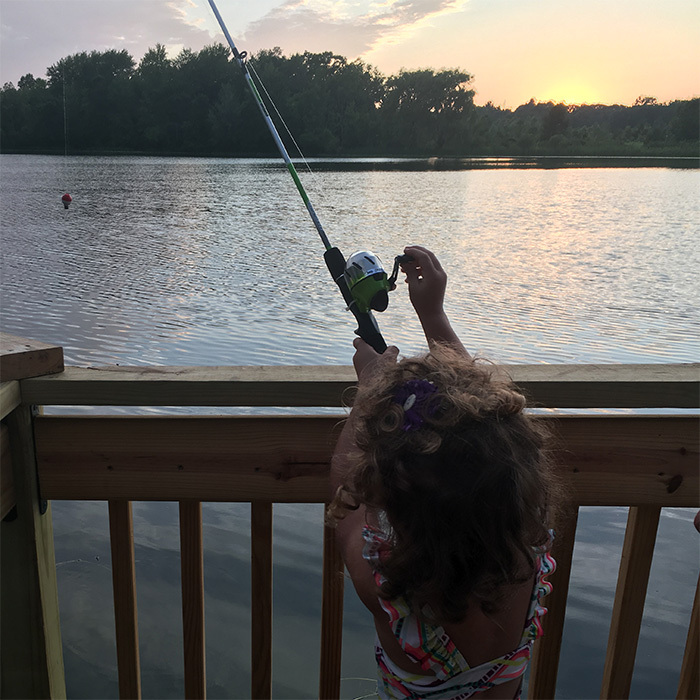 Waterfront: The waterfront is open until dusk. There is no lifeguard on duty. A $125.00 fee will be issued to any person(s) responsible for the flipping of any swim rafts.